Floral Long Sleeve Top Just $18.99! Down From $56! Shipped! You are here: Home / Great Deals / Floral Long Sleeve Top Just $18.99! Down From $56! Shipped! TODAY ONLY! 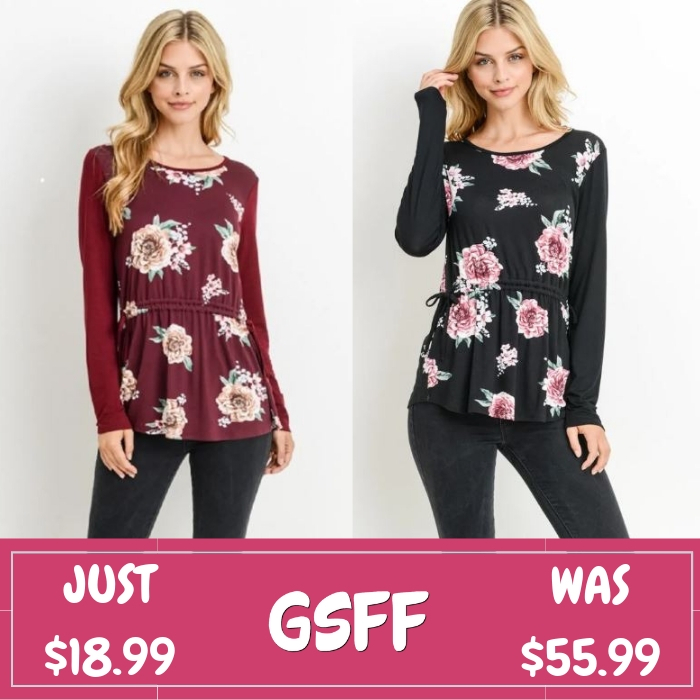 Hurry over to Jane where you can score this Ruched Tie Floral Long Sleeve Top for just $18.99 down from $55.99 PLUS FREE shipping! This Beautiful floral long Sleeve is perfect for the transition into Spring. Whether it’s still cold or starting to get a little warmer. Whether you are running errands around town or a day at work, this top will keep you feeling comfortable and looking stylish.